It is quite normal for me to repeat myself and then to see surprised reactions when people learn that I am a flute teacher. 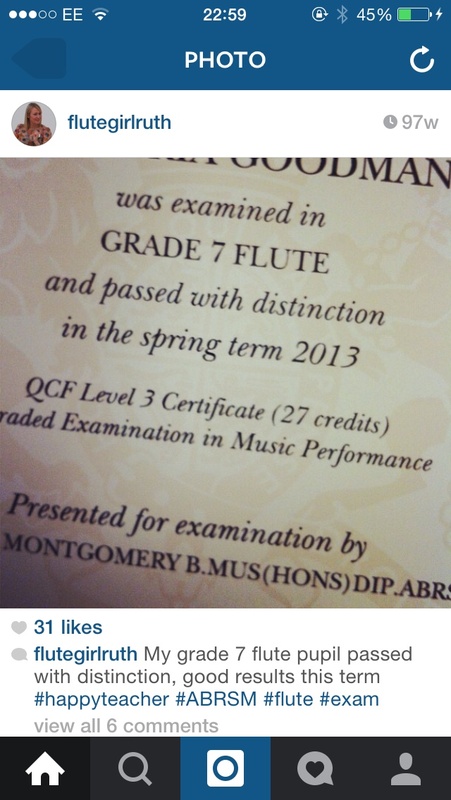 A ‘deaf’ flute teacher. 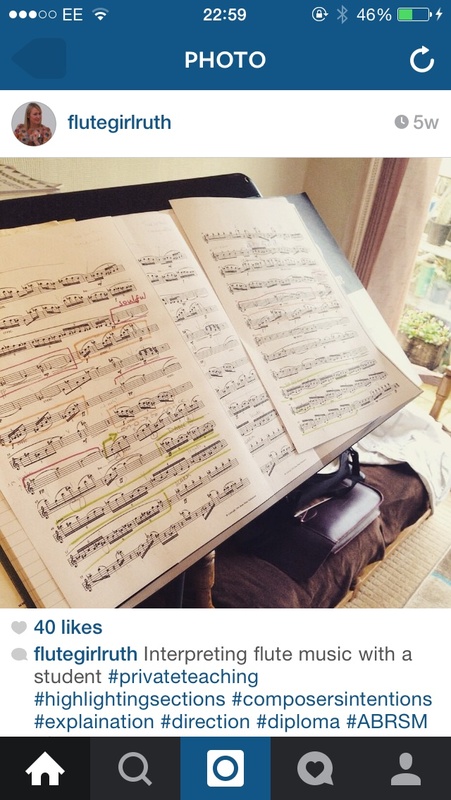 No, wait for it – a profoundly deaf flute teacher actually. 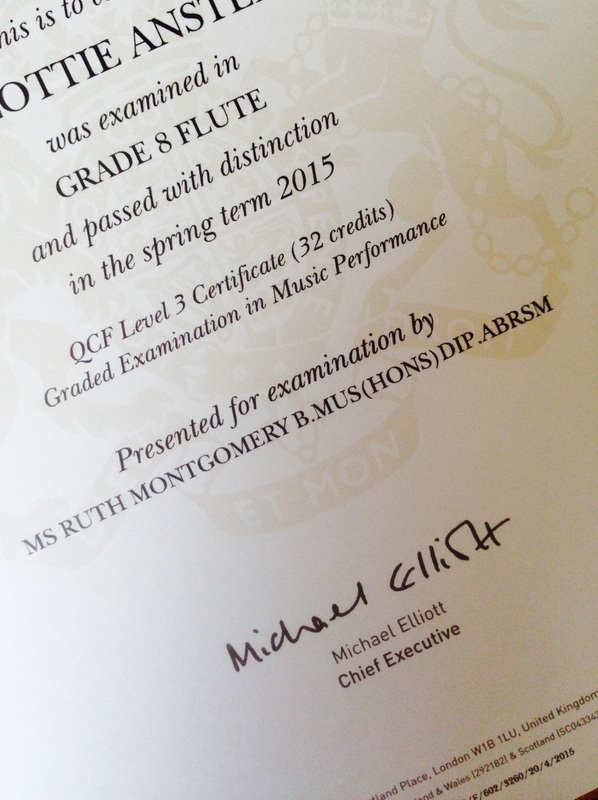 If there’s a chance and the right moment (because I am not the boasting type at all), I would harp on about my pupil’s achievements; how many of them gained distinction across all levels in their flute exams, especially at grades 7 and 8 which is at the top end of the ladder by the Associated Boards of the Royal Schools of Music (ABRSM). I have entered more than 200 pupils for ABRSM exams with a 100% success pass rate. I have experienced the sheer joy of soon-to-be school leavers being offered a place at a prestigious music college in London and universities (one of them is Oxford) through tough auditions. 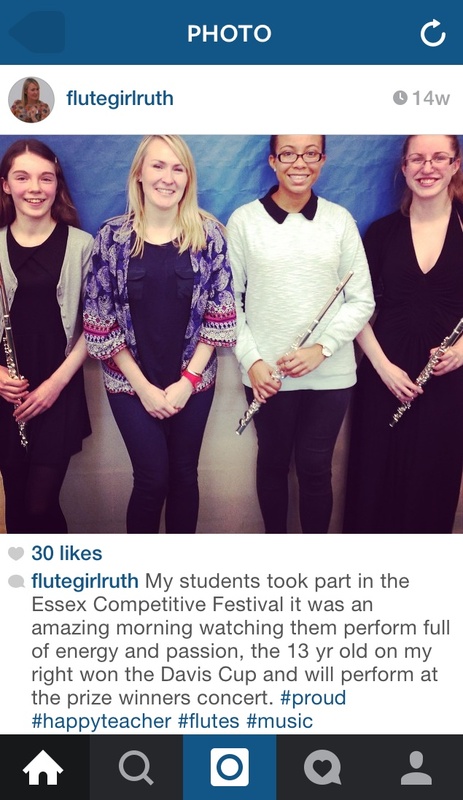 Two of my other students took up seats with the Essex Youth Symphonic Orchestra where the flute department is a highly competitive place to get in to with only 3 seats available. They join in music activities at their school. Furthermore, there’s been trophy prize winners, special requested performances and certificates through festival competitions. I share their highs and lows. My biggest delight is that they all come back every week for their lessons. Most of my players started at the beginning as they picked up the flute for the first time. I teach across the ages from beginners to diploma levels. 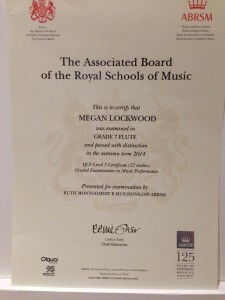 So being deaf from birth and a music teacher, how is that all possible? While people’s first thoughts about music is that music is about hearing sound. There’s no mistaking it – sounds travels to the listening ear and captures their attention…and imagination. The word ‘music’ after all according to Wikipedia ‘is an art form whose medium is sound’. Bingo! This is exactly where I get my back-up as to what music also really is. If you are at a favourite concert watching and listening to rock, pop, classical, jazz for example and seeing these musicians perform on stage, or as a soloist even – they are physically producing all of these elements that make up sound. A performer has a job of activating all areas in their brain to THINK about how they wish to interpret ‘sound’ stories with their instrument. Being a learner in my lesson means all these elements come to play and this is what language is. In my Royal Welsh College of Music (RWCMD) dissertation in 2005 I wrote that “Music is not about ‘hearing’ any more than language is” when debating about whether music is possible for those who are deaf. I stressed that actual music making is a mental process. My finished essay won me a prize for the highest mark and best written piece in my year that year. What’s equally important along with sound and language of music is the background of the piece, – who’s the composer, what’s the history, influences, culture, genres, style as well as the anesthetic and criticism of it. My pupils could be playing a sonata piece that is more than 400 years old from Europe, or playing groovy off-beat dance rhythms of the Caribbean and to the latest craze of Disney’s Frozen ‘Let it go’. Being a performer means we are open to interpretation, beauty, and styles. Sometimes there are firm rules, sometimes we can bend them. My duty as a teacher is to make sure pupils understand all these elements, laying solid foundations to the art of music as well as knowing exactly how the flute works. 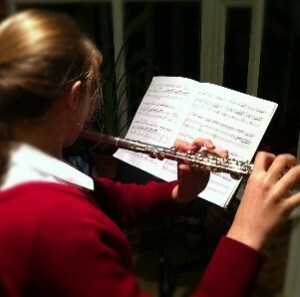 Playing the flute is a physical activity – it requires stamina, concentration and dedication. I check their breathing, tone production all across the keys, fingerings, scales, rhythm work and interpreting many pieces of music. In that way it reassures the pupils with what they are doing and then carry on with the good work at home. Although I wear my analogue hearing aids at all times I can hear and identify when they make a wrong note or a poor tone, I help them to develop self-reliability with music and command of the instrument. 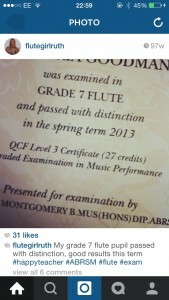 I have a father and brother team when pupils take music exams. Two of their pieces will have to be accompanied on the piano, and this is often where my youngest brother Edward step in. He is a highly skilled pianist and has built good rapport with my pupils over the years. Aural is another aspect where the examiner assess their listening skills, such as being able to sight-sing in tune, recognise harmony, keys and chord changes on the spot in the exam. My father Roger is an experienced music examiner himself and will take on my pupils at an advanced level for a few lessons as he knows how to train them what to listen out for. 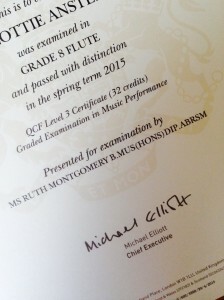 As a teacher, I have found those with hearing impairment could need extra help with achieving a good tone quality on the flute, and those with sight-impairments may have their music enlarged and use note colours (Tobin music system). A pupil with asthma will adjust their breathing phrases while it still shapes the music beautifully that no-one would ever guess. On the whole, everyone has their own learning and playing challenges no matter what. Where there’s will, music will find a way of reaching through to them. 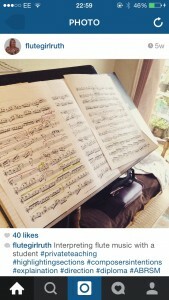 So…being a deaf music teacher? 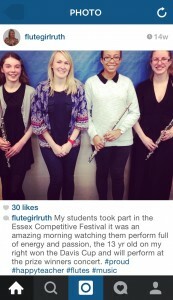 It is one of my best jobs in the world and I’m glad to say that it is totally possible to be a flute teacher.